The Mectizan Donation Program is pleased to share the good news that during the “Reaching the Last Mile: Mobilizing Together to Eliminate Infectious Diseases” event held in Abu Dhabi earlier this week, Abu Dhabi’s Crown Prince, Sheikh Mohammed bin Zayed Al Nahyan, and the Bill & Melinda Gates Foundation launched a $100 million fund to eliminate river blindness and lymphatic filariasis from key countries in Africa and the Middle East. The Mectizan Donation Program is grateful for this funding initiative, which will provide the target countries with the financial resources needed to eliminate these two diseases. We look forward to working alongside Merck (known as MSD outside the United States and Canada), GSK, and other partners to ensure every country is well-supplied with medicines until the last community meets the World Health Organization criteria for stopping treatment. The “Reaching the Last Mile Fund” is a 10-year commitment that will be hosted by The END Fund, a private philanthropic initiative to mobilize resources to fight the five most common Neglected Tropical Diseases (NTDs) that comprise an estimated 90% of the NTD burden in Africa. To launch the Fund, the Crown Prince will contribute $20 million and the Gates Foundation committed up to an additional $20 million to catalyze other donors around this important effort to eliminate river blindness and LF. 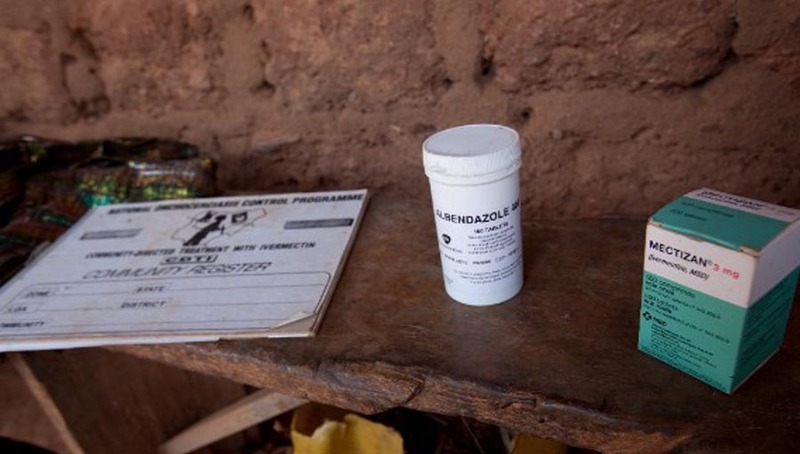 Experts agree that the two diseases have strong potential to achieve elimination with adequate funding in place for treatment, monitoring and evaluation. Several countries have already achieved the goal. Four countries in the Americas: Colombia, Ecuador, Guatemala, and Mexico eliminated river blindness, and in 2017, Togo became the first country in Africa to eliminate LF. Merck launched the Mectizan Donation Program 30 years ago when Mectizan was donated for the treatment and control of river blindness. In 1998, Merck expanded its commitment to donate Mectizan for the elimination of LF in countries co-endemic with river blindness following GSK’s commitment to donate albendazole for the elimination of LF globally. The World Health Organization recommends the co-administration of Mectizan and albendazole for a minimum of 5 years to eliminate LF. 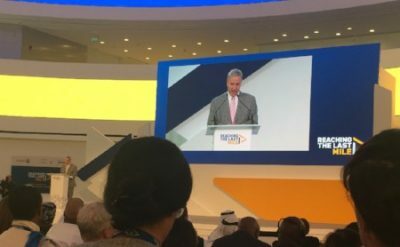 Jeff Kemprecos, Executive Director, Public Policy and Government Relations for Gulf Cooperation Council Countries at MSD (pictured below) gave remarks during the Last Mile event in Abu Dhabi on behalf of Ken Frazier, Merck’s chairman and CEO. “After decades of committed and innovative partnership, both diseases are now considered candidates for elimination. With today’s news, priority countries in the Sahel will move closer to that goal. The funding announced today has the potential to mobilize the delivery of an estimated 880 million treatments through 2025 – provided through our donation program – with the goal of freeing people from the threat of these debilitating diseases. We know elimination is feasible: Four countries in Latin America have eliminated river blindness. In Africa, the relentless itching, skin disfigurement, vision loss and blindness that were once common now rarely occur. And for LF, this year Togo became the first country in Africa to eliminate the disease, and Malawi is not far behind. These successes give us hope that the complete elimination of these major public health burdens is possible. However, we recognize that this is not an easy undertaking and that the “last mile” will be the longest and the most difficult. The introduction of this new and generous channel of financial support will go a long way to help to accelerate the achievement of elimination.